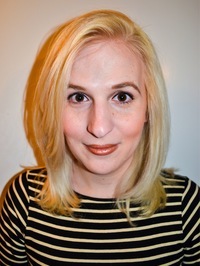 Samantha Allen is the author of LOVE & ESTROGEN (Amazon Original Stories, 2018) and REAL QUEER AMERICA: LGBT STORIES FROM RED STATES (Little, Brown, 2019). She is a GLAAD Award-winning journalist who covers LGBT issues as a senior reporter for The Daily Beast. She received her Ph.D. in Women's, Gender, and Sexuality Studies from Emory University in 2015 and was the 2013 recipient of the Kinsey Institute's John Money Fellowship for Scholars of Sexology. She has appeared on MSNBC, CNN, and NPR's On the Media. She met her wife in a Kinsey Institute elevator—a true queer love story. To ask Samantha Allen questions, please sign up. Samantha Allen hasn't written any blog posts yet. I went in skeptical but by the end Ben Goldfarb hade made a Beaver Believer out of me. Any book that changes how you see the world is a good book. But a book that makes you long for a world you never lived in? That’s a great book. We’d love your help. Let us know what’s wrong with this preview of Eager by Ben Goldfarb. Moving, gutting at times, and cleverly written. We’d love your help. Let us know what’s wrong with this preview of Nevada by Imogen Binnie. We’d love your help. Let us know what’s wrong with this preview of Girl Logic by Iliza Shlesinger. Eminently readable, highly informative, and cute photos to boot! We’d love your help. Let us know what’s wrong with this preview of Return of the Sea Otter by Todd McLeish. A delightful and moving read, with gorgeous drawings. We’d love your help. Let us know what’s wrong with this preview of How to Be a Good Creature by Sy Montgomery. Samantha Allen is on page 6 of 208 of How to Be a Good Creature: I can already tell I’m going to cherish this beautiful book.